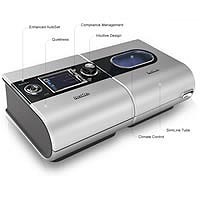 ResMed ‘s introduction of their S9 is the industry’s finest CPAP device offered. It features easy to use technology that maximizes breathing comfort while reducing system noise. The S9 focuses on a more natural breath experience by providing whisper-quiet therapy from this device and mask.